Around twenty activists from the Stop Nuclear Power Network  have held a ceremony on the beach in front of Sizewell nuclear power station in Suffolk (England) this afternoon to mark the 24th anniversary of the world's worst ever civil nuclear disaster, at Chernobyl (Ukraine). 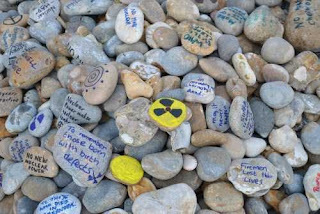 They are looking to highlight the risk of a similar catastrophe happening in Suffolk, due to a reactor meltdown [3,4] or major radioactive waste incident. A protest camp has been taking place on Sizewell beach since Friday as part of an international weekend of action to remember Chernobyl and oppose expansion of nuclear power. 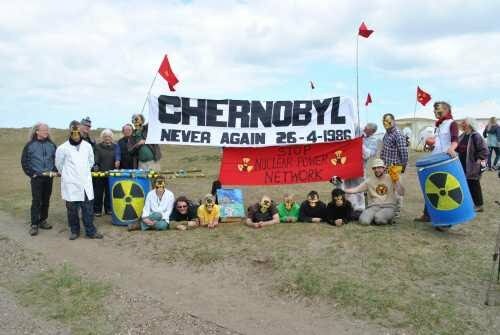 On Saturday, a demonstration was held at the entrance to the power station. 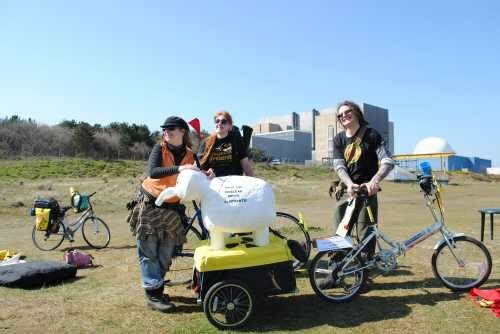 Over the weekend, campers have also hosted a public meeting in nearby Leiston, held information and campaigning skills workshops on the beach and toured the flood-prone site where EDF, the owners of British Energy, plan to build Sizewell C.
The UK government is pushing ahead with its plans for ten new nuclear power stations across the country, with Sizewell planned to host one of the first new reactors. 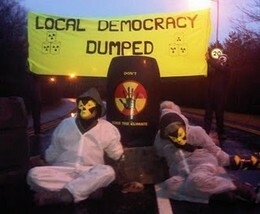 This despite the fact that even after 50 years, the nuclear industry has failed to come up with a permanent solution for its radioactive waste, which will remain dangerous for tens of thousands of years. 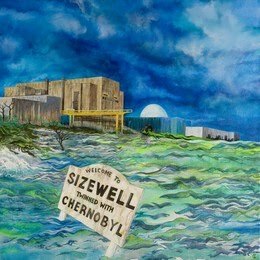 With current facilities at Sizewell B nearly full, plans are in place to build another temporary store where waste from the reactor would remain indefinitely in the absence of a permanent solution. 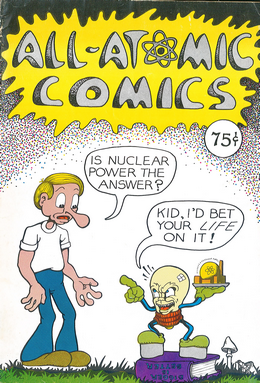 This is before even considering the waste from any new reactor(s), which would be even more radioactive and too hot to transport for up to 160 years or longer. 1. 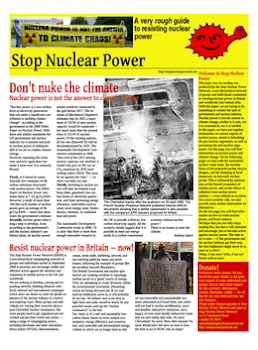 The Stop Nuclear Power Network is a UK-based non-hierarchical grassroots network of activists taking action against nuclear power and supporting sustainable alternatives. 2. Total deaths and predicted deaths from the 1986 Chernobyl disaster range from 4000 to half a million. Doctors in the Ukraine and Belarus are seeing “highly unusual” rates of cancers, mutations and blood disease, which are thought to be linked to Chernobyl. 6. 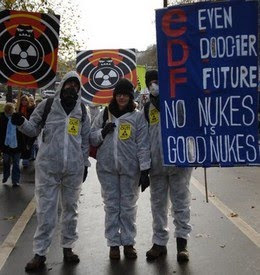 Nuclear Decommissioning Authority's Oxide Fuel Topic Strategy (2010) indicates that serious questions remain within the nuclear industry itself over whether any solution for permanent disposal of radioactive waste will ever be found.